Increasingly, schools are equipping every child with technology to support their learning. Schools are shifting from delivering content, to helping students be creators of it. This shift is happening…right now under our feet; many educators don’t even realize that it’s occurring. Many children come to us each day, feeling as though they are missing something. Additionally, concerns have been raised that screen-time has caused students to become withdrawn and alienated from their peers. However, many educators and students find that twenty-first century tools are empowering student voices to be shared with peers from around the world. There is a need for schools to change. With iTunes U, kids can access media-rich content chosen by their teachers. An amazing component of iTunes U is that no-one is left behind because of limited wi-fi access. iTunes U doesn’t solve all of the challenges associated with educating children. 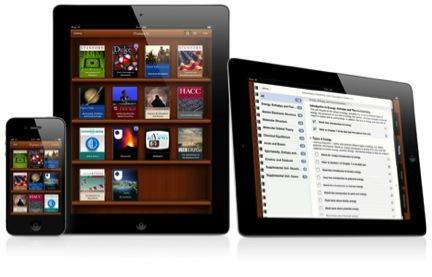 However, it is an extremely powerful tool to enrich the iPad user experience. Educators will still need to model thinking, teach concepts, promote digital citizenship, and provide innovative opportunities with students. 1) How will iTunes U increase access to learning for every child? 2) How will an iTunes U course enable kids to become creators of their own content? 3) How will iTunes U enable children to write more frequently and reflect on their own learning throughout? 4) How might an iTunes U course enable children to become more critical readers with a greater stamina in their reading ability? With access to great tools such as iTunes U, all students now have the accessibility to content. No longer are students limited by the resources they have at home. Schools are now able to equip students with the tools needed to be successful in our ever changing world. In iTunes U, teachers are able to download a variety of educational media: books, podcasts, documents, videos, images, presentations, and apps. Educators have been in the “eye” of a tornado of school reform the past few years. So many answers have been offered from folks that have never taught children. With access to the creative tools in iTunes U, teachers can reclaim control of their classrooms. Teachers can pull together powerful resources that meet the needs of the learners they get to know specifically each year. Great educators bring huge amounts of creativity into their classrooms and iTunes U can help facilitate this. Instead of delivering curriculum to children, teachers become creators of curriculum. Brillance, we know it when we see it, especially in our youth. As current school reform efforts move towards STEM (science, technology, engineering, and math) we will certainly engage and empower a segment of our student population. And digital tools, as well as a sufficiently trained teaching staff can foster this learning to new levels. When educators create with iTunes U, they are able to develop courses that engage all areas of learning: from art, science, mathematics, history, language, poetry, computer coding, technology, and any other area of interest that a child might have.